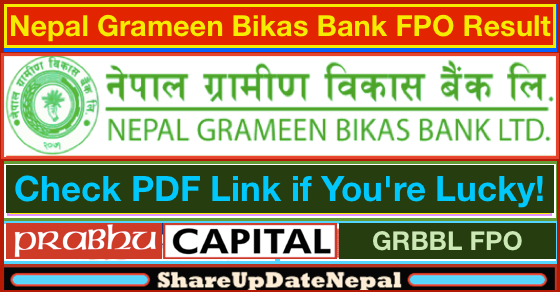 Nepal Grameen Bikas Bank Ltd. (NGBBL) has allocated its Further Public Offering (FPO) on Tuesday. 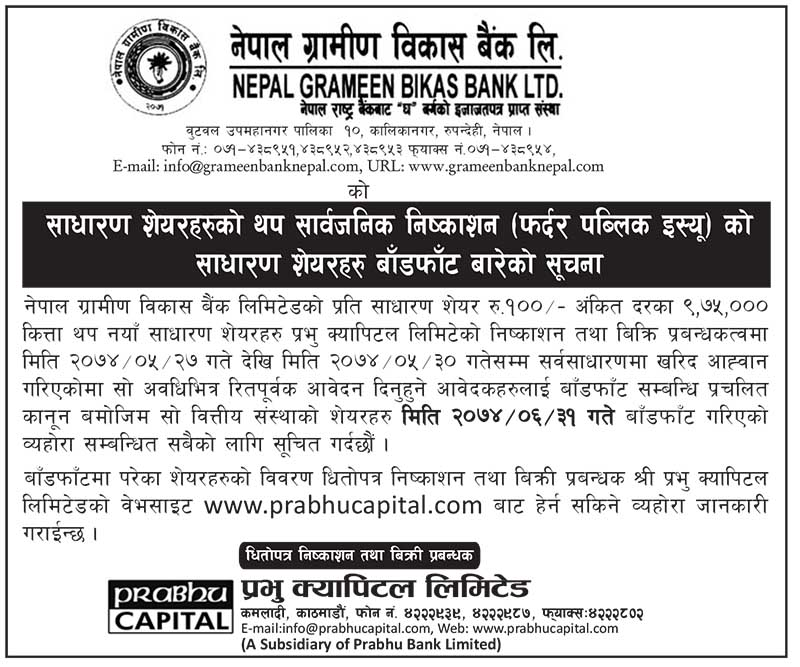 According to Prabhu Capital Ltd., the issue manager of the bank, out of 250,524 applicants 97,500 applicants were provided 10 units of mandatory shares through the lottery system. Of the total 250,524 applications, 3,791 were canceled. 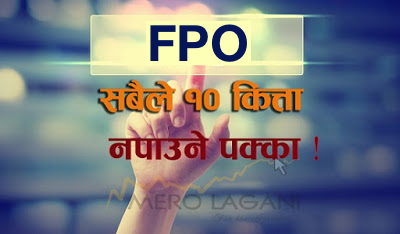 The bank issued 975,000 units of FPO shares from 12th to 15th September 2017. The issuance was oversubscribed by 27.69 times. 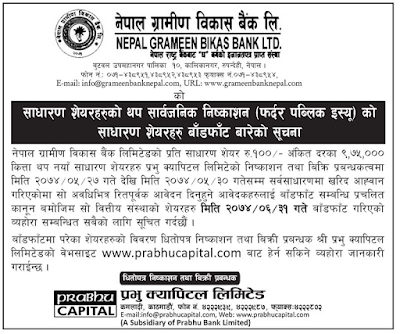 After the FPO issuance, the paid-up capital of the bank is raised to Rs. 655.5 million. The bank earned a net profit of Rs. 161.4 million in the last Fiscal Year. 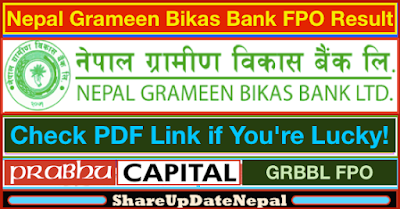 Check the link to DOWNLOAD and press CTRL + F to for search box. Is Placenta a 'superfood' or a Dietary Fad? Corneal Repair: A Clear Vision! Causes of High PSA that are not Cancer !